The New York Rangers have apparently found their new head coach. While the deal hasn't been formally signed, reports say that the Rangers have settled on former Canucks coach Alain Vigneault and will make the official announcement soon. Assuming those reports are true, it will conclude a lengthy and at times bizarre search that involved plenty of big names. In addition to Vigneault, the Rangers were rumored to be considering legendary former players like Mark Messier and Wayne Gretzky, and even names like Ulf Samuelsson and Brian Leetch were mentioned. According to reports, GM Glen Sather had each of the candidates fill out a questionnaire prior to being interviewed. It goes without saying that DGB spies were quickly able to locate a copy and pass it along. Thank you for your interest in becoming the next coach of the New York Rangers. To help us process the many candidates we expect to apply, please fill out this brief questionnaire to help us get to know you. 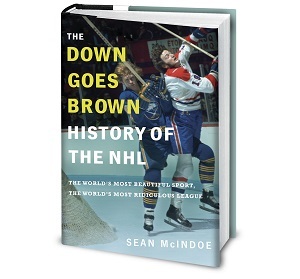 Do you have any experience as a head coach in an NHL market? ( ) None at all. ( ) Coached in Phoenix for four seasons, so… no. 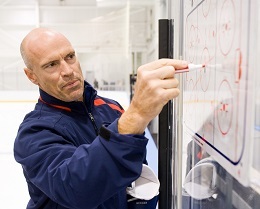 What would you say is the most important skill that a New York Rangers coach must possess? ( ) Staying calm during difficult times by quietly mumbling "Well, at least we're not the Sabres". What do you like best about the current New York Rangers organization? ( ) Notice you have decided to go with one and only one starting goalie; kind of wish my old boss had thought of that. ( ) Love Ryan McDonagh's two-way game, and sure hope we have more guys like him being developed by our farm team in Montreal. ( ) Really like the way you always keep your "Days since we last employed Sean Avery" sign updated. ( ) Have so many good young leaders that a New York Ranger player will definitely be winning the Mark Messier Leadership Award every year for a long long time, if you play your cards right. Do you have any unique talents or abilities that you feel we should be aware of? ( ) Was the best hockey player in the world and the only reason Glen Sather has all those Cup rings that keep him employed to this day, but don't let that affect your decision or anything. ( ) On free agency day, can repeatedly hit my general manager on the nose with a rolled up newspaper while yelling "NO!" every time the phone rings. ( ) Don't want to get into it, but let's just say I'm on a first name basis with like half the local riot squad in two different cities. ( ) When I set my mind to it, can achieve the impossible. For example, have occasionally succeeded in eating just one. Do you have any concerns about taking this position? 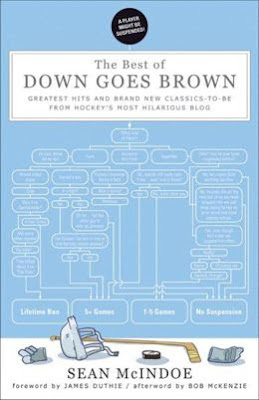 ( ) Ryan Clowe and Darroll Powe's names don't rhyme and that's always just really bothered me for some reason. ( ) Would like to put together a long-term strategic plan, so it would be cool if we could eventually get one or two players signed past next season. ( ) Realize that part of the New York sports scene involves dealing with celebrities, but still not sure why the lead singer from this horrible band is always walking around MSG like he owns the place. What would you say are the odds that you get this job? ( ) Not sure, let me ask my wife. Finally, if you are the successful candidate, what would you do on your first day on the job? ( ) Get to work preparing a game plan for next year's playoff series against the Capitals. ( ) Take off pants; sit on photocopier; fax results to Mike Gillis. ( ) Probably Google "How to be a hockey coach" since that is something I have never been in my entire life. Thank you for your interest in this position. Please note that the successful candidate will be contacted next week. The unsuccessful candidates will be contacted next season, during our first losing streak. Bravo Sir, as an islanders fan this gave me a great chuckle. "Take off pants; sit on photocopier; fax results to Mike Gillis." Thanks DGB. I really didn't want that image of Alain Vigneault in my head AT 8 IN THE MORNING. A big "oooooooooohhhhhh" to the "Not sure, let me ask my wife." "When I set my mind to it, can achieve the impossible. For example, have occasionally succeeded in eating just one." The photo caption is excellent. I hope DGB's next mission is making the James Dolan video the new rickroll. "Don't want to get into it, but let's just say I'm on a first name basis with like half the local riot squad in two different cities." Grade A material right here. As a Rangers fan this cracked me up! Well done. "Try to cheer up that depressed looking usher by asking him if he knows how much he looks like Brad Richards"
I wished I had not clicked on the link to JD and the Straight Shot. "Get to work preparing a game plan for next year's playoff series against the Capitals." Rangers fan here, that one got to me. Well played. "On free agency day, can repeatedly hit my general manager on the nose with a rolled up newspaper while yelling "NO!" every time the phone rings." Yep, that was rthe best. I don't get the "let me ask my wife" one, can someone fill me in?